Blog hopping and surfing really is dangerous. I came across My Cute Stamps, and what do you know, I now own 2 of those sets! They really do live up to the name. I stamped the leaves in avocado, chocolate embossed the sentiment on ocean tides, rounded the corners, and added a bow of plum pudding with a button of melon berry. I worked all day yesterday for my friend Diana who is a fantastic interior designer/real estate stager/redesigner. We staged a house to hopefully sell fast. I enjoy learning from her, and she likes having an extra pair of hands to unload a truck of furniture and accessories! If you are into home decor and such, you MUST check out her website (especially the link under the Lake Erie Living magazine to see her house decorated for Christmas) and her blog (lots of tips and pics and fun stuff!). Don't forget, the new TSG releases are now available for you to buy, check it out HERE. Thanks for stopping by, keeping my fingers crossed that my computer escapes that major virus supposed to hit today! 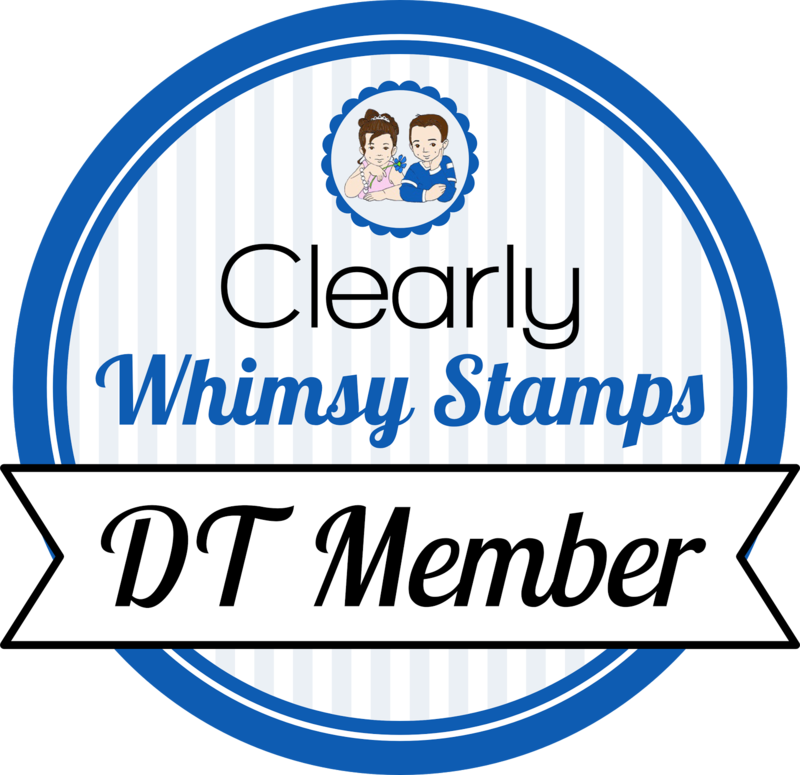 It is so funny that you said that because I went to Michelle Wooderson's blog last week and she did a whole bunch of awesome cards using my cute stamps so what do you know I ordered three sets it's a dangerous hobby. Love your card! FAB card Becky...OMGoodness...thanks for the linky...those stamps are a-dorable!!! I cannot seem to get enough of owls..oy vey...whatta a fun job helping out your friend!! These colors work so well together, and I love your layout! This is just adorable!!! I love the background paper you created and the round corner! Absolutely adorable! Sounds like you had a good time with your friend!! What a fun card! 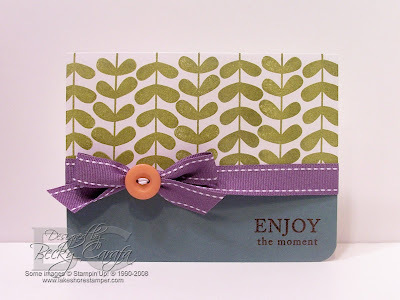 Love the color combo... :) Off to check out those stamps! Wow, I love your stamped dp. . .it's really pretty. I really love the pattern. Awesome color combo too! Love how you added a touch of orange. Great card as always Becky!! This is such a sweet and cas card! Uh Oh...off to check out their stamps, too!